Kitchen-ware are the tools used for cooking, baking and food preparation, they also used for the storage of food and raw food items before and after preparation. Kitchenware equipments are majorly used in commercial and household kitchens. Rapid urbanization and growing personal disposable income of people boosts the demand of household appliances and various sectors. Kitchen wares market growing rapidly with rapid increase of new housing societies and peoples inclination for better and comfortable lifestyles. Increasing numbers of hotels, cafes, restaurants and commercial sectors boosts demand in commercial sectors. Growing tourism and hospitality sector also fueled the demand for new hotels which is strengthening the growth of kitchenware equipments in hospitality sector. Rising number of cafes and restaurants with the urbanization in developing countries, showcase vast opportunity for the kitchenware equipment market. 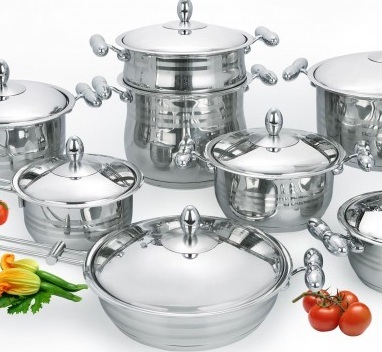 Rising demand for less power consuming and eco-friendly products bolstered the demand for energy efficient electric kitchenware equipments which is expected to foster the growth of kitchenware equipments market. Rapid digitization across the globe is playing an important role in increasing consumer power. Mobile solutions and access to the internet provided the opportunities for market players to interact with consumers in new ways. Online platforms and e-commerce has significantly driven the growth of kitchenware equipments market across the globe. Digitization also provides substantial opportunities to develop more advanced products such as connected products. Global middle class is expanding as a result of strong economic growth in emerging countries. This trend has been visible for many years and significantly strengthening the sales of kitchenware equipments. Government regulations to keep least fuel efficient electric appliances away from market are the key factor driving the growth of electricity efficient kitchen appliances. For instance, all residential cooking appliances in Canada are subject to Canada's Energy efficiency Regulations, which set performance standards for their energy consumption. The global kitchenware equipments market is expected to increase at a CAGR of 3.6% over the forecast period i.e. 2016-2024. The global kitchenware equipments market is accounted for USD 176.4 billion in 2016 and anticipated to reach USD 234.5 billion by 2024. The global kitchenware equipments market is expected to garner significant growth over the forecast period on the back of rapid urbanization growing in middle class families in developing regions. Geographically, North America is the dominating region for global kitchenware equipments market with more than 30% revenue share in total market. In North America large home allows space for big kitchens and household appliances, including large kitchen appliances. The region is comprised of several domestic and global manufacturers. The North America kitchenware equipments 70% market is captured by the four major retailers. Asia Pacific region accounted for highest market share after North America with more than 25% revenue share in global kitchenware equipments market with China and Japan as the largest regional market share. In 2016, Europe market showed continued positive demand for kitchen appliances enabling growth in segments such as compact, energy-efficient and built-in kitchen products.